UTAS Web Access Research Portal (WARP) - lists Jan's funded projects, graduate research supervision and publication information. Co-winner of Henry Mayer Prize for the best political science article published in Australia. 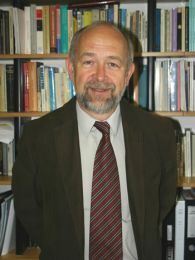 2005 winner of the Stephen Crook Memorial Prize for the Best Authored Book in Australian Sociology 2004-5 (Globalising Inequalities, Allen and Unwin, 2004). Jan is Professor of Sociology at the University of Tasmania, Fellow of the Academy of the Social Sciences in Australia, and the Stanford Center for Poverty and Inequality, Stanford University. Jan migrated to Australia in 1975. His publications include Elite Recruitment in Australia (ANU Press, 1980), Social Movements (Longman Cheshire, 1991), Postmodernization (Sage, 1992; with S. Crook and M. Waters), The Death of Class (Sage, 1996; with M. Waters), Postcommunist Elites and Democracy in Eastern Europe (Macmillan, edited in 1998 with J. Higley and W. Wesolowski), Globalizing Inequalities (Allen and Unwin, 2004),Toward Leader Democracy (Anthem, 2012; with Andras Korosenyi), Violence and the State (University of Manchester Press, edited in 2014 with M. Killingsworth and M. Sussex) and Political Leadership in Decline: Careers of Australian Parliamentarians (Palgrave 2015). Jan's current research interests focus on elites, democratisation, post-communism, social movements, and social inequality.